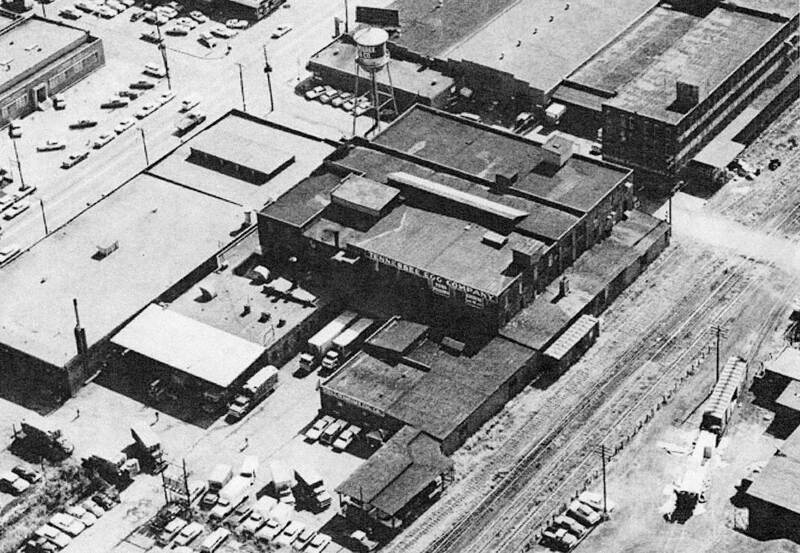 A Southern ventilated boxcar can be seen in the lower right of this circa 1925 image. Keefer, Potomac Yards, Alexandria, Va. Photograph. Retrieved from the Library of Congress, <https://www.loc.gov/item/npc2008013406/>. Fenton Wells has presented an interesting kitbash at a couple recent RPM meets. 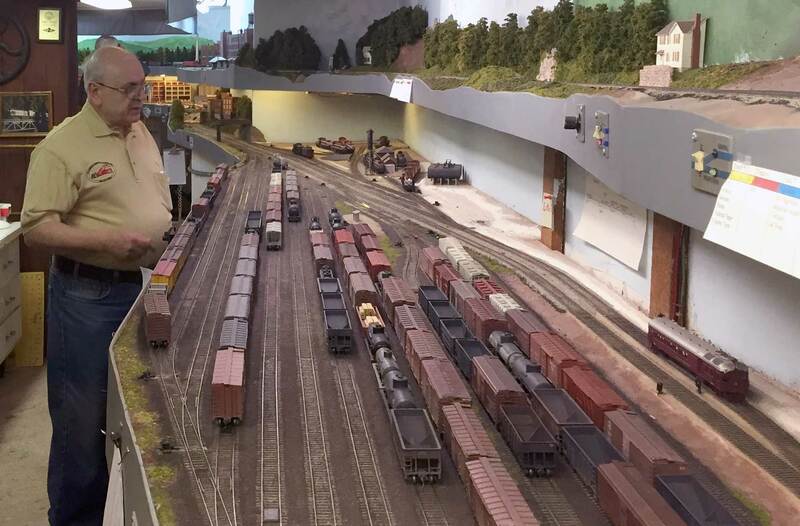 He shares his tips and techniques to transform an Accurail 36-foot boxcar into a Southern ventilated boxcar. Click on any image here to view a larger size. 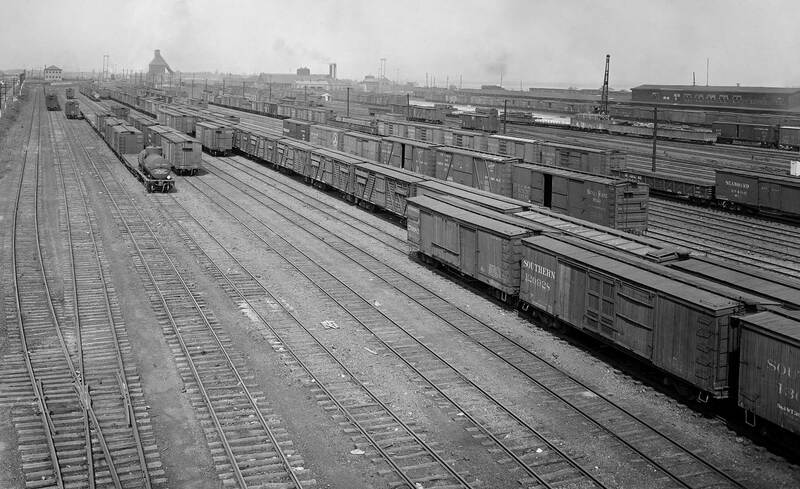 Ventilated boxcars were once a common element of the freight car fleet. Several southeastern railroads had thousands of ventilated boxcars on their rosters to move fruits and vegetables from packing plants to wholesale grocers in northern areas. Distinctive screened doors and end vents set them apart from typical boxcars. Most of the ventilated boxcars were older cars of double-sheathed wood construction, thereby standing out all the more over the years as the national freight car fleet modernized with taller steel-sheathed cars.